Bracelet Components There are 25 products. 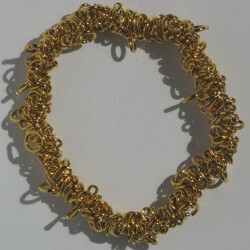 Gold colour bracelet memory wire. 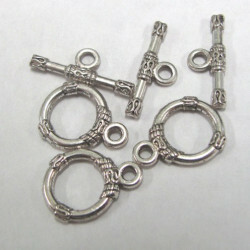 12 loops of a quite small size, 2" or approx 50mm. 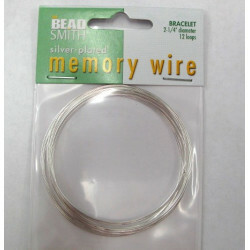 Bracelet memory wire. 12 loops. Bracelet memory wire. 12 loops. This is a bright silver colour. 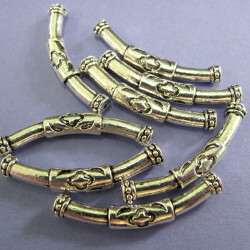 BP35 - Bracelet Bars. Pack of 10 pairs. A great buy - less than half the price of singley bought pairs. 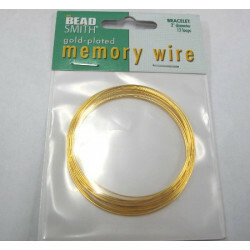 TH4903 - Memory wire, bracelet size, 36 loops. Silver colour. 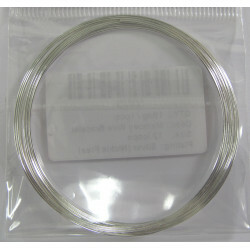 We finish our bracelets using this wire by making a loop at the end. Very easy to use, but string cutters required as wire pretty tough. 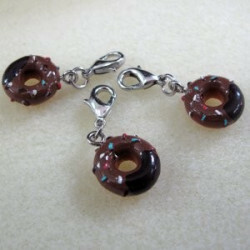 CL007 - Pack of 3 doughnut charms. These are chocolate colour with multi coloured sprinkles. They come with a clasp for easy use on bag charms, charm,bracelets etc. Dooughnut diameter approx 12mm. 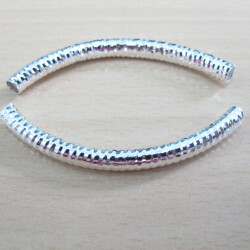 F4442 - Silver colour bracelet with a 25mm tray. 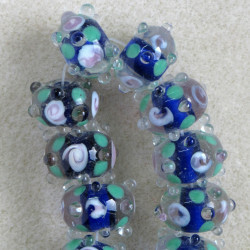 Set of Clear, Blue Lined Handmade Lampwork Glass Beads. Some of the lovliest beads we have ever stocked! Love the quality and clarity of these. Not cheap, but worth every penny. Beads approx. 10 mm by 15 mm, 16 per Strand. 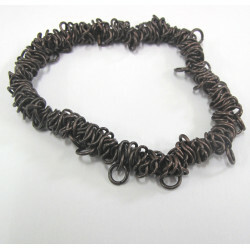 Stretchy antique copper coloured bracelet. 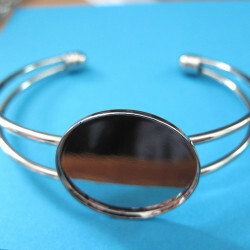 F4000c - Stretchy antique copper colour bracelet. Great for charms etc. Stretchy Bracelets, Gold Colour, Pack of 1. Click view for quantity discount.